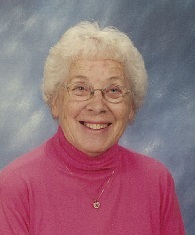 Ellsworth — Josephine E. Warren, 91, passed away at her home on March 26, 2019. She was born in Ellsworth, July 30, 1927 the daughter of Sterling and Virginia (Pinkham) Wescott. She graduated from Lee County High School in 1945, Fort Myers, FL. Upon graduation and returning to Maine she met her future husband, James Warren and they were married for 47 years before his passing in 1999. She was employed at Bangor Hydro Electric for a number of years. She was a lifetime member of the United Baptist Church. She filled her time doing volunteer work for Meals for ME, the local food pantry and her church teaching Sunday school and singing in the choir. She enjoyed being with and caring for her family and loved all animals. Jo is survived by her nephew, Tommy Jordan and wife Dawn; nieces, Trudy Clarke and husband Bruce and Karen Mulhern and husband Charles; grandnieces, Jayne Bowden and husband David and Susan Coffin and husband Travis; one great-grand niece; three great-grandnephews. She was predeceased by her beloved husband; two sisters and one brother. The family would like to extend their deepest love and appreciation to Roberta “Bertha” Atherton for making Jo’s last 2 years at home comfortable and fun. With our deepest sympathy to all of Jo’s friends and family. She was a beautiful person and will be greatly missed.